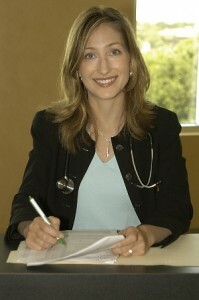 I have many patients who think that if they do not have celiac disease, they do not have a wheat or gluten sensitivity. This is not true: celiac disease and food allergies are two different diseases. Celiac disease is a severe, genetic disease that can result in vitamin deficiency, osteoporosis and intestinal cancer. Gluten sensitivity (also termed wheat allergy) is usually less severe. It can still cause inflammation, gas, bloating and rashes, but will not result in cancers or nutritional deficiencies. Celiac disease is also called celiac sprue, nontropical sprue and gluten-sensitive enteropathy. It occurs in 1 in 133 people and is more common in people with family members who have celiac disease, autoimmune thyroid disease, and type I diabetes. Signs that you may have celiac disease are diarrhea, constipation, gas, iron, vitamin D and B vitamin deficiencies. The diagnosis is made by bloodwork for specific antibodies and colonoscopy while eating gluten. If you have been avoiding gluten for more than two weeks prior to testing, these tests may be falsely negative. Wheat allergy or gluten sensitivity is an allergic reaction that releases antibodies different than the ones in celiac disease. If the allergy is extreme, you can have shortness of breath or rashes and should be seen by a doctor. More common wheat allergies, cause gas, nasal congestion, bloating, diarrhea or constipation. It will not affect your ability to absorb vitamins and will not cause osteoporosis or cancer. I always check for celiac disease first, because it is the more serious illness and we don’t want to miss it. If you have problems digesting wheat and we find that you do not have celiac disease, then I test for gluten sensitivity. If you are interested in this topic, please check out my blog on food sensitivity testing and elimination diets. I am board certified in Internal Medicine and as a Physician Nutrition Specialist and have offices in Tampa and St Petersburg, FL. Please call (813) 902-9559 to schedule your appointment.